Calling Schalke fans: Own #Revierderby and win a shirt! In honour of the 89th Revierderby between Borussia Dortmund and FC Schalke 04 in the Bundesliga, we’re giving you the chance to win a shirt from your favourite team. It couldn’t be easier. Simply follow us on twitter @Bundesliga_EN, retweet in support of Schalke and you’ll be entered into the draw. The Mother of all Derbies is one of world football’s most fiercely contested on the pitch and it’s sure to be just as keenly fought off it on twitter as well! 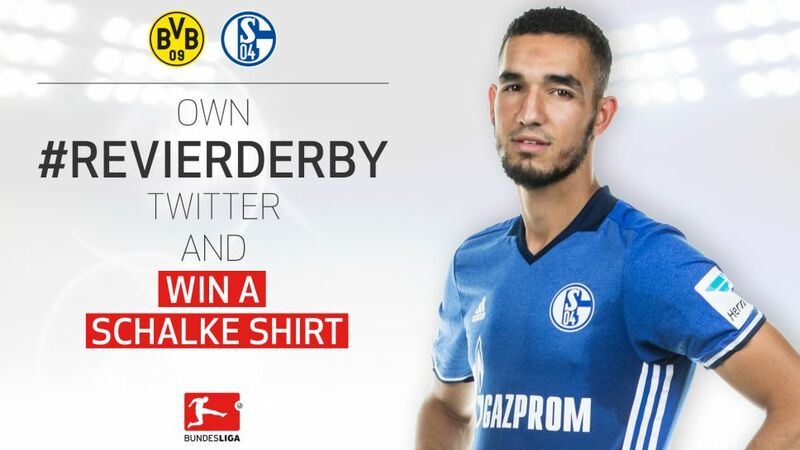 Show your colours and help your club own the #Revierderby on twitter.